Sunday is National Quilting Day (who knew?) 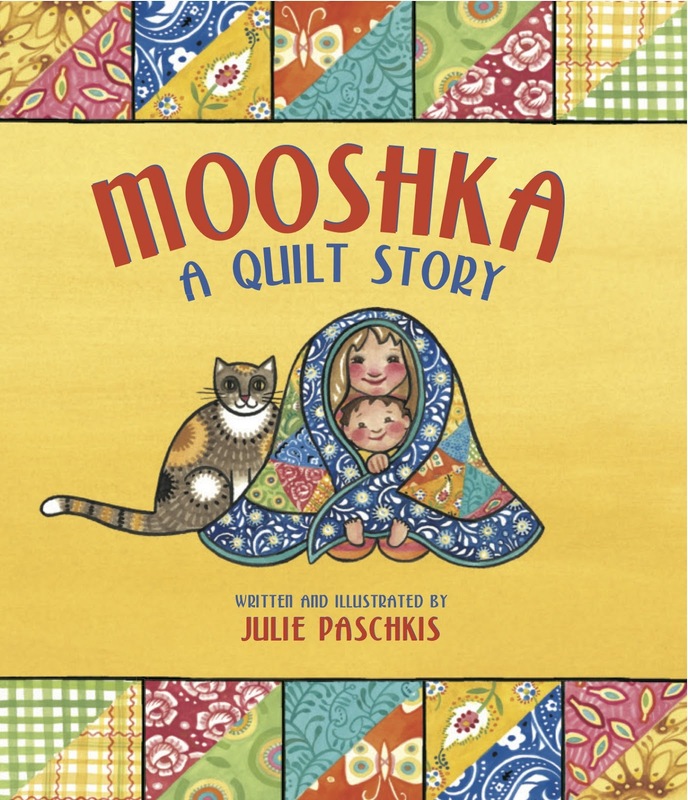 and we're celebrating with a feature about our new picture book, Mooshka, a Quilt Story! Cut it up! Wash/dry it first, I think, if you're making a quilt. Otherwise your quilt might shrink up in weird places when you try to wash it later. Sew the small blocks into big blocks! Another tip: Don't follow my directions! There lots of really neat quilting/crafting books and classes out there. Or, find a friend to show you how! 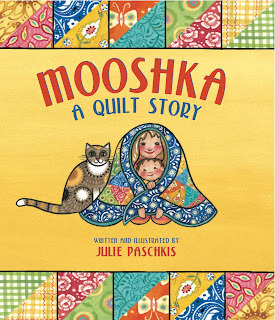 Also, check out author Julie Pashckis's blog post about the story! It's fascinating how she found her inspiration for every page in the book by looking back at her own family history! You can find her blog post here at Books Around the Table! **Contest ends Thursday, March 22 and 11:59 p.m.